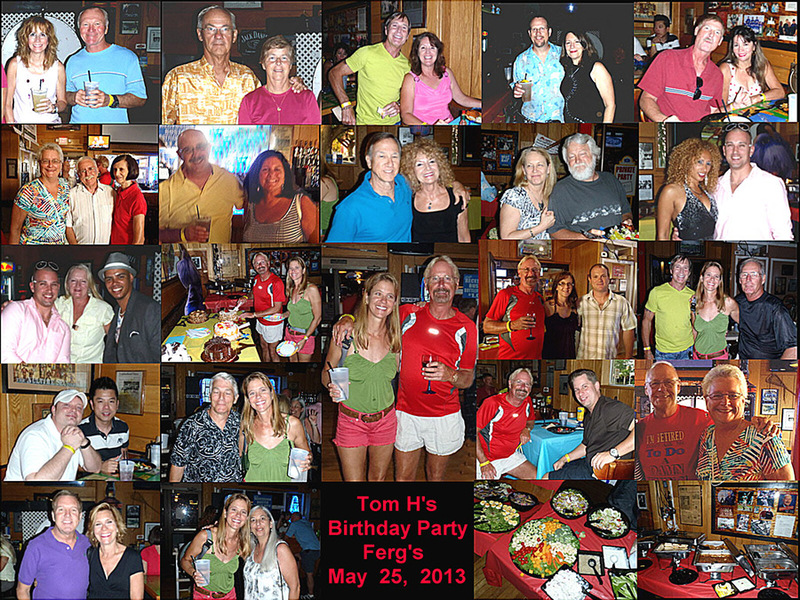 Fergs is a perfect place for a fun Birthday Party and Tom & Linda had everything organized and ready to go. People started rolling in and a happy birthday party got into gear. Before long the party room was full and all were socializing and having a grand time. The food and drinks were plentiful and all were enjoying the evening. Jeff led us all in singing Happy Birthday to Tom. Thanks Tom and Linda for a five cake evening.